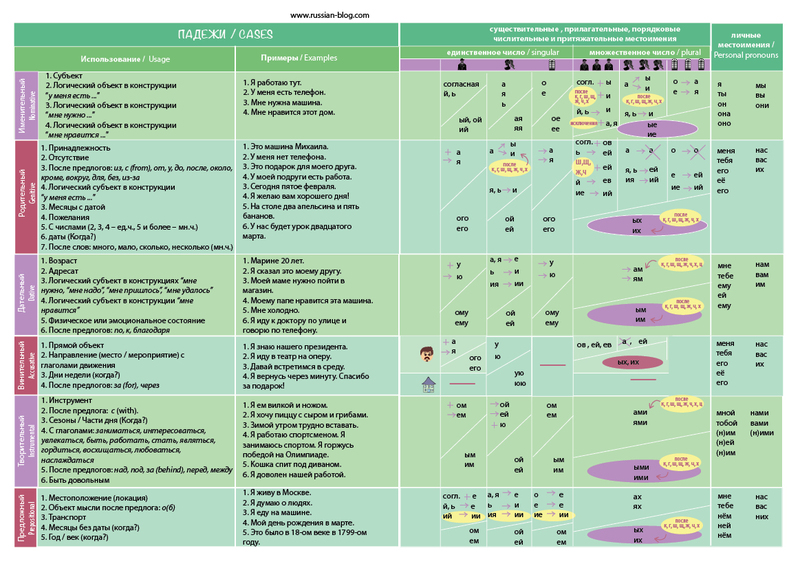 Russian cases seem to be the hardest part of the Russian grammar for non-Slavic speakers. Today I will try to explain what the cases are and share with you my tables of all cases with endings and usage. Дочка любит маму. – Daughter loves her mother. Маму любит дочка Mother loves her daughter. We can see that the subject and the object have changed (Now the daughter is an object). But they haven’t changed in Russian. Because the word “мама” is in the accusative case (it has the ending -у ). And we use the accusative case for objects (things or people we love, hate, look at etc.). So thanks to the cases we can change the order of words in a sentence and the meaning will be the same. Now you are going to learn all 6 cases and when we have to use them.